I looked at my husband through eyes filled with tears. “I can’t do this any more. I have nothing-I only hear the message, ‘You are not enough'”. In that moment I felt drained. I honestly felt like any ability to extend grace, love generously, even think, was gone. I had two discontent teenage daughters pecking at me, I had not been able to take care of something my husband needed done, I had received a message I wasn’t spending enough time with my mother, I had not called my mother-in-law and thanked her enough for Christmas (according to my father-in-law), I was behind on laundry, I was out of groceries, and my business had not met my expectations for the month. The day before I had also received a call asking that I take a large leadership role in a ministry engaging women in our state. While I desperately wanted to serve in this way, to engage again in ministering to women through a structured ministry, I knew beyond question my answer at this time was to be “No.” It wasn’t what I wanted the answer to be. In fact, I wanted to ignore what I knew to be true and say “Yes.” I was disheartened by the clear direction to say “No”. It was a melt down moment. There was nothing my husband could do. There were no “Sorry mom” statements big enough. There was no deleting the messages. The only way to say “Yes” was to act in disobedience. With wisdom my husband simply took the girls on to their respective activities, never saying a word. And I, well I was left to fall into a puddle of what felt like complete overwhelm and despair. I am not enough. That is the truth. I can not do it all. I can not, in my own strength, be all I need to be. I am not enough. I am not complete. There was nothing to do in that moment but to release the emotions and lean into His grace-grace that is sufficient for me. A part of obedience is not only doing the stuff, but it is the letting go and leaning in. It is the acknowledging. It is the accepting. I am not enough. The message didn’t need to be defeating-that’s what Satan would like. The message simply needed to be an accepted truth that would prompt me to act in obedience, leaning into Him, His grace, allowing Him to complete me, to strengthen me. ” I am not enough, but His grace is sufficient for me and His strength is made perfect in my weakness.” That is the message I need to let run through my mind. That is the truth. Hi, coming from Holley’s blog. This is something women need to hear over and over. Because we try to be there for everyone, they come to expect it and we do too much. To focus on what God wants us to do is not always clear. We need rest! I’ve been there with you so many times, Shana. I think it’s the one thought that I trip on the most, that I am not enough. We can honestly never be enough — we need Him, so desperately, to come in and help us. Praise God that He is so faithful to tell us that He will be there with us, filling the gap where we aren’t enough or fail. He is so good to us! 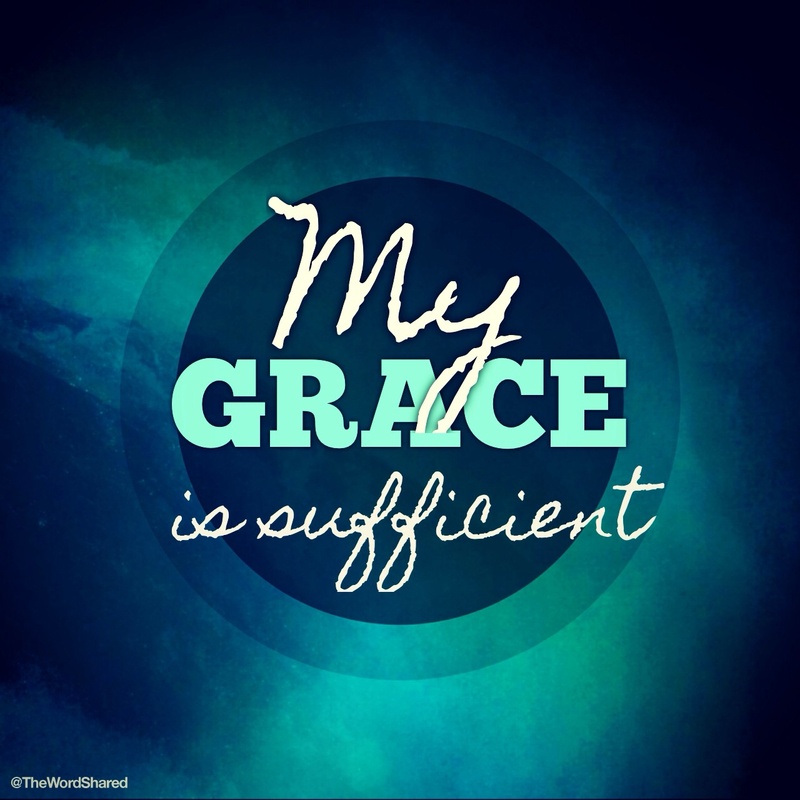 Shana, great reminder His grace is sufficient! Thank you for the #coffeeforyourheart today! I constantly have these thoughts that I am not enough or doing enough. It can be so discouraging, but it does just mean I need to lean into Jesus. He is enough! Thank you for sharing. I have been touched by all the comments. I am reminded we are all broken in need of the cross and when we share in our brokenness we find true community.